Experts of the Sovereign Order of Malta’s worldwide relief agency, Malteser International, are on their way to Leyte Province in the Philippines, where Typhoon Haiyan has left a path of utter destruction. 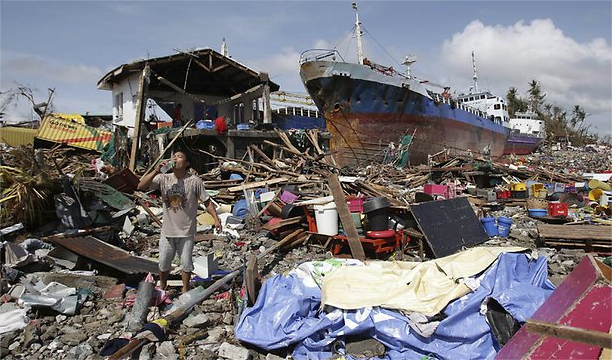 Officials estimate up to 10,000 people have died in Tacloban City and elsewhere. Hundreds of thousands of people are displaced. Today experts and representatives of the Philippine Association of the Order of Malta will conduct an assessment of the needs in the most affected region around Tacloban City and prepare emergency relief for the survivors. “Accessing the region is extremely difficult at the moment, since the Tacloban Airport was destroyed in the storm, so we have to find alternative ways of getting there,” says Cordula Wasser, Philippines programme manager for Malteser International. Malteser International’s local partners report that Haiyan also affected the evacuation centres and temporary camps on the neighbouring island of Bohol, which had recently been struck by an earthquake. “For this reason, Malteser International will also expand its ongoing relief measures for the earthquake survivors” Wasser says.